Along your journeys to conquer new lands in each region, the cuisine is an indispensable experience for most travelers. 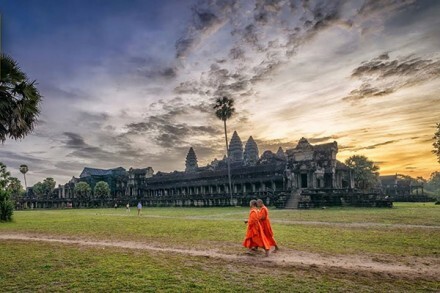 Travel Sense Asia would like to recommend must try restaurant in Hanoi, Saigon at the two biggest tourist cities of Vietnam. On the other hand, if you choose the Cooking class in Hanoi or Cooking class in Ho Chi Minh City, this restaurant is the best choice for you. When you participate in the cooking classes, the chef in the class will show with you many of his/her secrets when he takes you on a culinary journey. 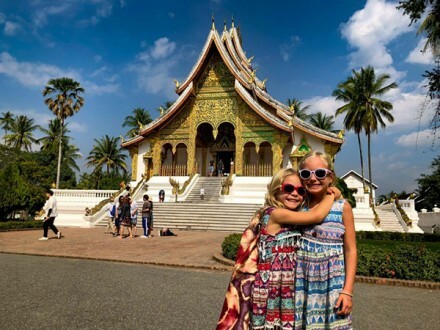 After that, they will teach you how the subtle blend of spices which are the key element to creating the outstanding flavors that are found in some of the favorite dishes of the Hanoian. You can choose to attend a morning or afternoon cooking class every day, but you should book in advance in order to make sure the class is still available at that time. 7 menu options are available for the cooking classes each day, you can choose the best option for your team. The morning classes will culminate in lunch whilst afternoon classes culminate in dinner. Moreover, If you want to find a reliable cooking class, you can choose Madam Yen restaurant in order to learn how to cook the Vietnamese dishes. 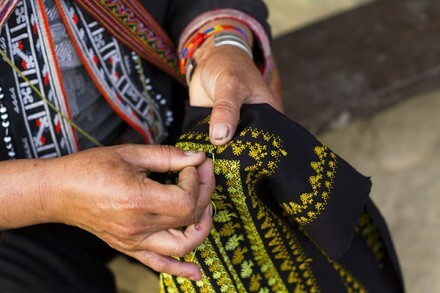 Madam Yen Cooking Class was opened in 2016 and its mission is to introduce Vietnamese authentic cuisines to other friends who travel to Vietnam and want to know deeply the local food. If you love Vietnamese dishes, especially in Madam Yen Restaurant, you can join the class, interact with the chef to know more about the material, the herb,… everything which makes the delicious food. 99A Hang Gai Street, Hoan Kiem District, Hanoi, Vietnam. It is very near to Hoan Kiem Lake, you can easy to find it. 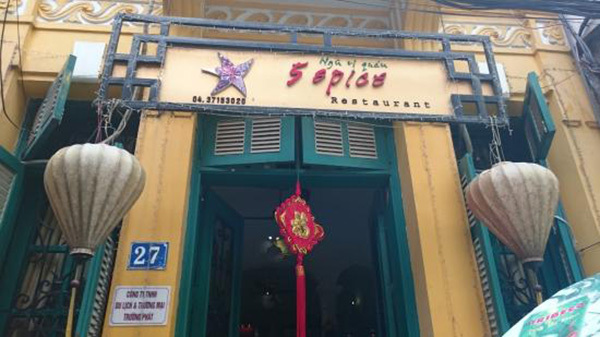 It is located in the center of the old quarter, 5 Spice Restaurant is quite near the heart of Hanoi and is one of Must Try Restaurant in Hanoi. 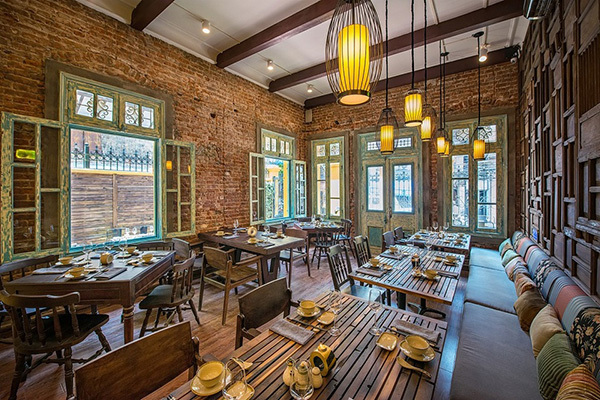 And it is well set in an old French house which was built in 1923, so you can feel the architecture of Hanoi in the early of that century. 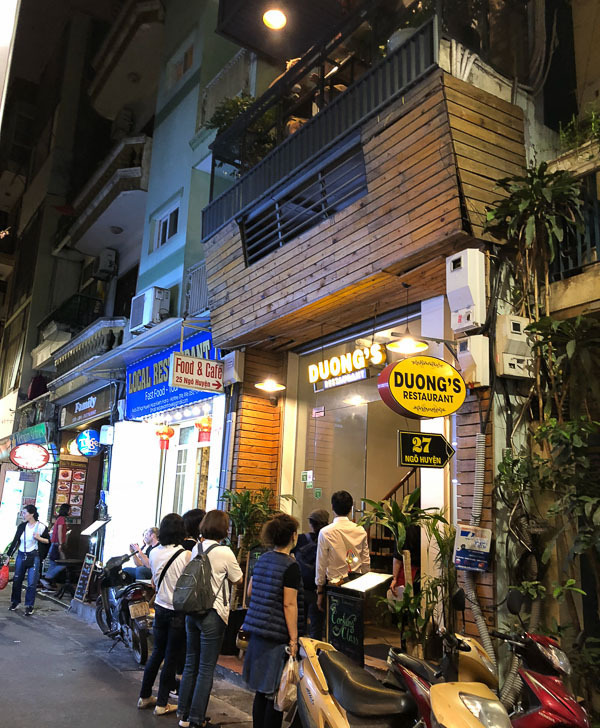 Nowadays the address of this restaurant is 27 Hong Phuc street (it is easy to find it because it is interlinked with Hang Dau street on one end and Hoe Nhai on the other. Near Hang Than St. and Nguyen Truong To st.), Ba Dinh district. 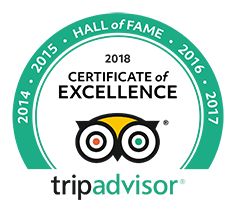 5 Spice is established since 2010, the restaurant is very confident and proud to bring you the best local food experience in Hanoi, Vietnam. As many local restaurants, it serves authentic Vietnamese food with lots of specialties of Hanoi such as “Cha ca la Vong”, Pho Ga, Hanoi “Nem”, Grilled beef in banana leaf, Grilled pork with chili and lemongrass, stir-fried chicken with cashew nuts… but you will enjoy the special decor as well as the different spices here. 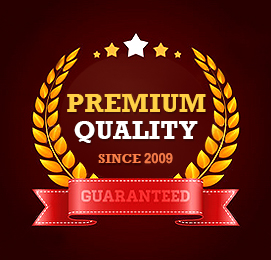 If you choose a luxury restaurant, you can find Home Hanoi restaurant. 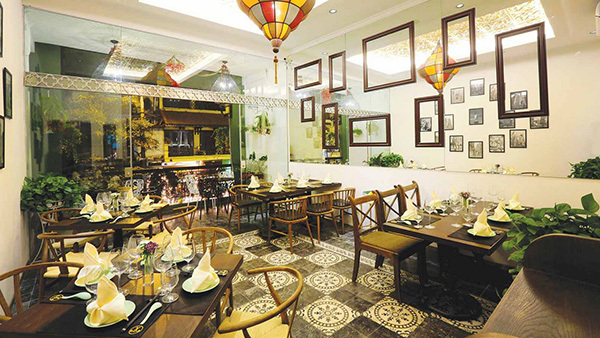 The fusion of old-world splendor and cutting edge sophistication defines Home – Vietnamese Restaurant. 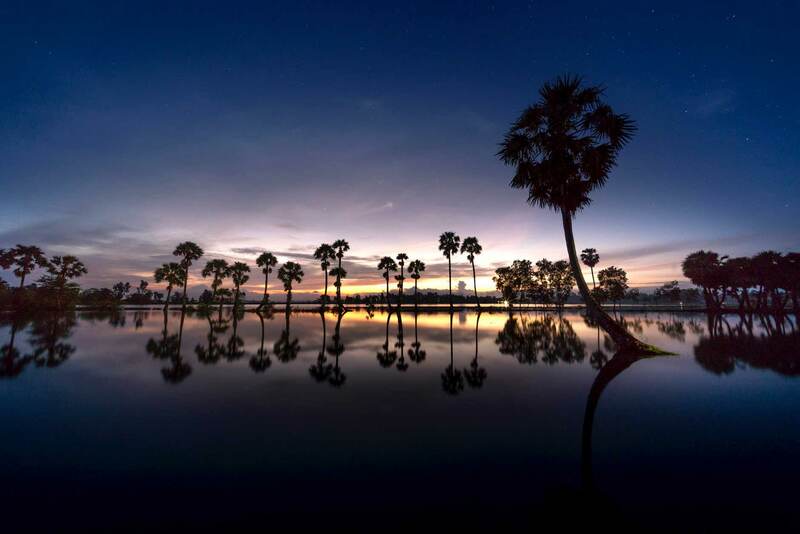 The restaurant partnered the finest traditional Vietnamese food with the inspired contemporary cuisine, which is presented with warm service within spectacular surroundings. Bún Riêu is a traditional Vietnamese rice vermicelli soup for the local family. Each family or restaurant have the different way to cook this food. However, today Bun Rieu was bún riêu cua, a popular version made with crab, tomatoes, pork, and tofu. You can eat Bun Rieu at the restaurant in Hang Bac, the food is served with tomato broth and topped with freshwater crab, specifically rice paddy crabs, which are pounded with the shell into a fine paste before being strained. The crab liquid is then used as a base for the soup along with tomatoes, giving it a wonderful tangy flavor. 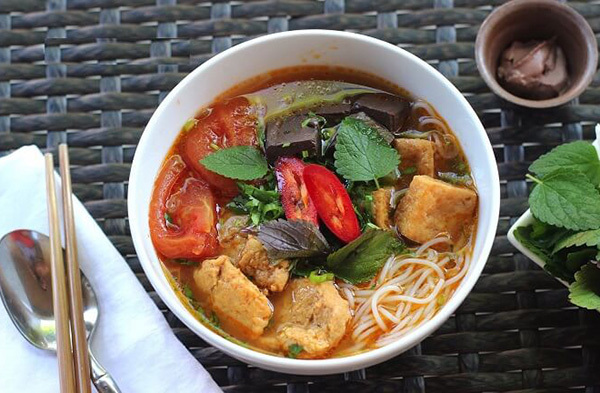 You can enjoy Bun Rieu with some kinds of vegetable and can drink a cup of Vietnamese ice tea. 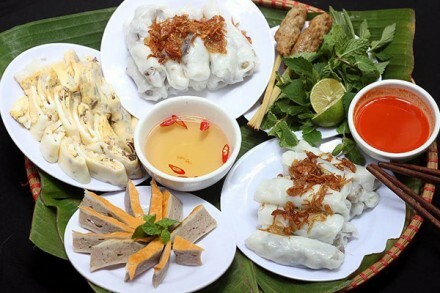 Banh Cuon is popular local food for Vietnamese people. Every traveler comes to Vietnam looking for this food and enjoy at least one time. In each shop, you can watch how to make Banh Cuon by the local chef. The materials are simple, but to make a delicious one is so difficult. 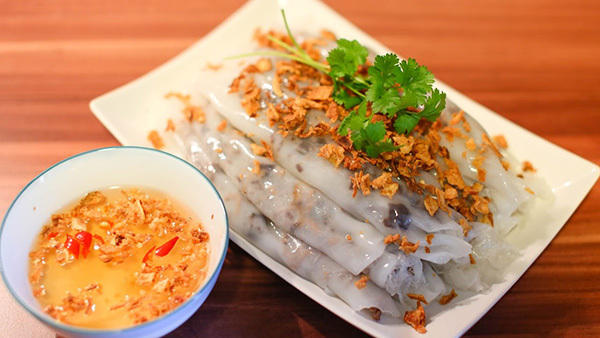 Banh Cuon is made from a thin sheet of steamed fermented rice batter filled, seasoned ground pork and wood ear mushrooms. Sometimes, you can see Banh Cuon Trung, it means Banh Cuon with egg with the same method. bánh cuốn is typically made with pork but this restaurant offers other varieties as well, including rolls made with shrimp. On the other hand, to make the food more delicious, you will top with herbs and fried shallots and served with a bowl of fish sauce. And enjoy with the Vietnamese pork sausage, sliced cucumber, and some herbs. Banh Cuon Thanh Van is also the must try restaurant in Hanoi for anyone who wants to enjoy the local food when visiting Vietnam.